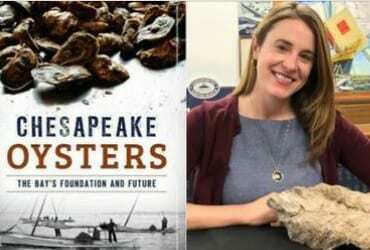 Local residents can meet author Kate Livie, director of education at the Chesapeake Bay Maritime Museum, this weekend. The Eastern Shore native will be appearing at the Perry Hall Library on Saturday, October 7, at 2 p.m.
She will also discuss the history of harvesting, canning, and serving oysters, as well as what the future holds for a new generation of ravenous lovers of this local bivalve. Book sales will be available by cash, check, and credit. The event is sponsored by the Friends of the Perry Hall Library.